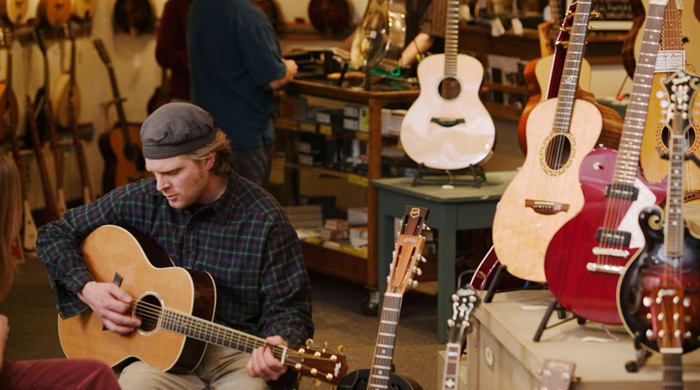 Visitors to Dusty Strings are always thrilled by the variety of guitars we have on hand. Call us if you are entertaining the idea of a custom guitar or you simply do not see the guitar of your dreams in our inventory. Our staff is well versed in the details of woods, body shapes, models, tone, and amplification. Our customer service goes beyond the sale by offering one hour of shop time should your instrument need some fine tuning and we will cover the cost of pickup installation if you wish to amplify your guitar.